Tyga has been hit with a tax lien by the state of California, according to TMZ. The state says that the rapper owes it $19,124.98 for unpaid taxes from 2009, 2010 and 2011. The Golden State is not the only entity seeking money from Tyga. Last month, a judge ruled that Tyga must pay the owner of a house he claims he bought $70,000 in back rent. The owner initially sued the California rapper for not paying rent for two months. 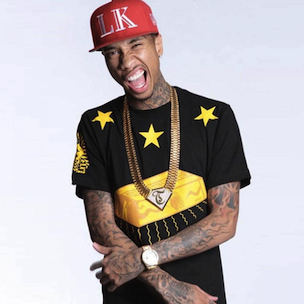 Tyga is also facing a six-digit lawsuit for breaking a contract with a Las Vegas nightclub.